Fully engage in the beauty of the seasons with this two stone ring in sterling silver. 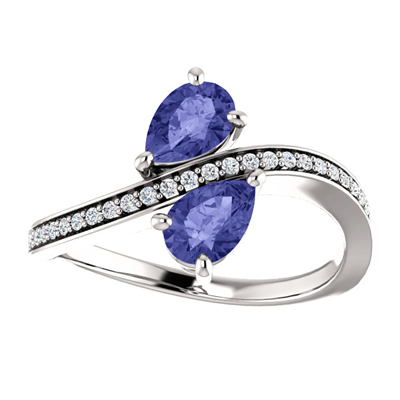 This whimsical pairing of tanzanite and cubic zirconia are set in sterling silverwith a polished finish. The decadent ring measures 6mm x 4mm with a total weight of 0.13 and makes the perfect way to celebrate the weather changes. We guarantee our Tanzanite and CZ Two Stone Ring in Sterling Silver to be high quality, authentic jewelry, as described above.